Offering you a complete choice of products which include rotary dryers and rotary kiln cement plant. 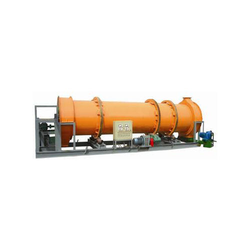 We offer a wide assortment of Rotary Dryer that is classified as direct or indirect (air heating method), current or counter current (material air contact). They have features like Minimum air leakage and the Dryer is driven through a girth gear and tire arrangement. Rotary Dryer is used for drawing materials with the humidity are granularity in the industries of cement plants and for drying material like limestone slag, coal powder. 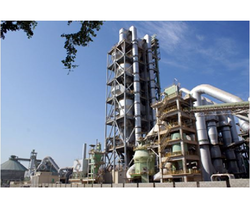 Our firm is able to maintain its reputation as a prominent manufacturers, suppliers and exporters engaged in offering rotary kiln cement Plants. These turnkey cement plants are designed by our diligent professionals, who ensure to do feasible study, which is followed by proper engineering and procurement. In addition to this, these cement plants are appropriately developed using supreme grade raw material in compliance with the international quality norms and guidelines. Looking for Rotary Dryer ?